For the second year running Professional Jeweller has named Andrew Geoghegan the brand behind Luxury Jewellery Collection of the Year. 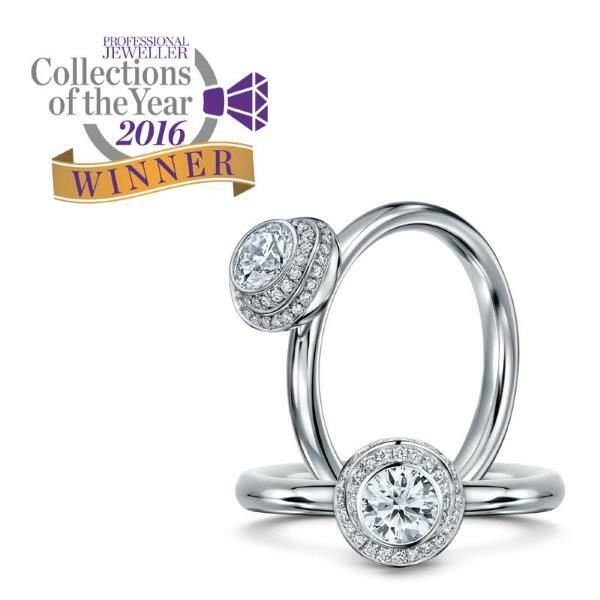 The stunning Clair de Lune collection won a remarkable 42% of the vote. With a distinctive, flowing form and intricate double halo of pristine diamonds, the collection is a heartfelt ode to the night skies of southern France. “Being inspired by a place so close to my heart makes the win even more precious, and I’m so pleased that others love it too” said Andrew. “I want to thank everyone who has supported us in 2016 – our amazing retailers, those who voted for our win and all the women who wear our pieces so beautifully – you’re all part of the success we’ve enjoyed this year. The timing couldn’t be better and will be a real inspiration for 2017 – we can’t wait to see what it might hold”.